The Traditional way to string a guitar is to keep slack in the string and wind the string around the tuning peg several times so that the wound string helps support the tension on the string, keeping the guitar in tune. This can be a difficult and often frustrating process. Now there’s an easier way, with EZstring! 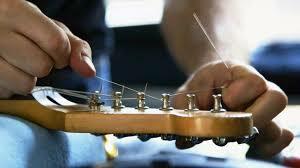 ♦ Simply place the EZstring on the post, pull the string hand tight and begin tuning the instrument. ♦ Eliminates the need to keep slack in the string and wind it around the post multiple times. ♦ Gets the instrument in tune and keeps it in tune. 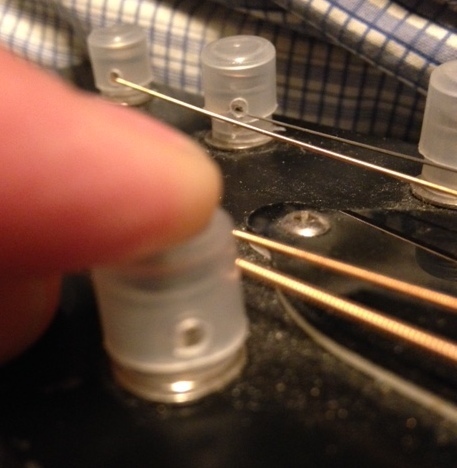 ♦ The EZstring turns your existing tuner into a locking tuner, without the expense. Free shipping when ordered with a guitar!